Under King Mosiah's monetary system, the gold antion was worth one and a half measures of silver or other commodities (see Alma 11:15, 19). 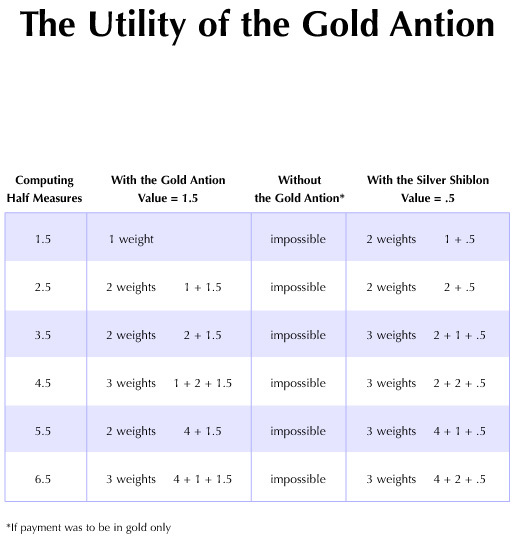 It functioned as a useful commercial unit since it allowed more measures of grain or other items to be purchased with fewer units of precious metal, as this chart shows. Using as few monetary units as possible in the marketplace was most likely an advantage.